Two lawyers’ groups have made a complaint to the Charity Commission about the anti-poverty charity War on Want’s alleged position on Israel. The Lawfare Project, which is a legal think tank and law firm that focuses on antisemitism, and UK Lawyers for Israel said they had filed a complaint with the Charity Commission alleging that War on Want was, among other things, misusing charitable funds for the production and dissemination of propaganda. The complaint also alleges that there are links between the charity and Palestinian groups and claims the charity has published "false and misleading allegations likely to result in racial hatred of Jews and Israel". 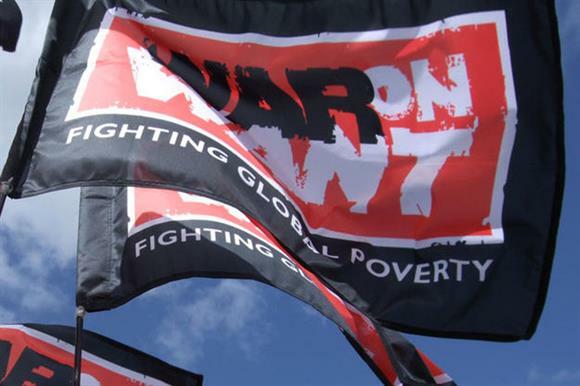 In a statement, War on Want said it "does not comment on vexatious and politically motivated campaigns aimed at silencing human rights organisations". The charity has been the subject of complaints in the past about its work in Palestine, with the Charity Commission opening an operational case on the charity in 2016 after complaints were made about War on Want’s campaigning activities. Brooke Goldstein, director of the Lawfare Project, said: "There is an infrastructure of hatred against Israel that has fed and nurtured antisemitic narratives. "NGOs such as War on Want are vital to that infrastructure and it is about time the Charity Commission held them to account. It is unacceptable for a charity to misuse its funds to cosy up to groups with terrorist links, spread hatred and mislead the public." Jonathan Turner, chief executive of UK Lawyers for Israel, said: "The name ‘War on Want’ is a misnomer. Much of its effort is devoted to a propaganda war against Israel, instead of combating poverty in the really poor countries of the world." A spokeswoman for the Charity Commission said: "We have received a complaint about the activities of War on Want and are assessing the concerns raised against our regulatory and risk framework."